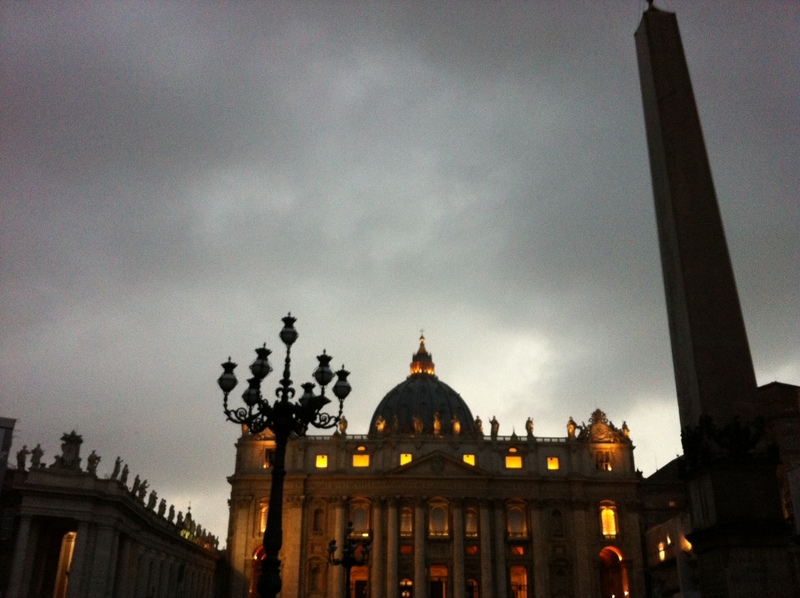 I’m back from Rome, still heavy headed from jet-lag. I didn’t have much time for extra reading while I was there. The days were filled with meetings, and discussions continued into late night hours. Today, I tried to catch up on church news. And, what news! At last month’s Synod of Bishops, Cardinal Tarcisio Bertone, the Vatican’s Secretariat of State, made an announcement that all clergy visiting the Vatican should wear cassocks. The foundation for the request came from a 1982 letter written by Pope John Paul II asking priests to wear the more formal dress as a “distinguishing mark” which contributes to “the beauty of the priest in his external behavior.” It must be clarified, that this request was made during a Synod devoted to the New Evangelization; studying ways and means to bring disaffected, disillusioned and distanced Catholics back into the folds of the Church. The second piece of news was the announcement that Fr. Roy Bourgeois, a member of Maryknoll for 45 years who had come under scrutiny for his support of women’s ordination, was dismissed from the order by the Vatican’s doctrinal congregation in October. The National Catholic Reporter has been updating the news all day. Reaction to the first story has been one of incredulity. Yet again, the men at the Vatican appear to have lost all sense of reality. With all the crises that face our world and church, they are focusing on garments. At a time when many women and men are disgusted with clericalism, they want to bring back an old symbol of clerical exclusivity. The dismissal of Fr. Roy Bourgeois, from both his religious order and the priesthood, has discussion boards fuming with the obvious injustice of it all. Priests and bishops, who were found guilty of sexual abuse of children, or the cover-up of that abuse, were not treated as harshly. Some, like Cardinal Law, ended up in cushy Vatican positions. The crime that will get you kicked out in record time is to speak out, publicly and loudly, for women’s ordination. 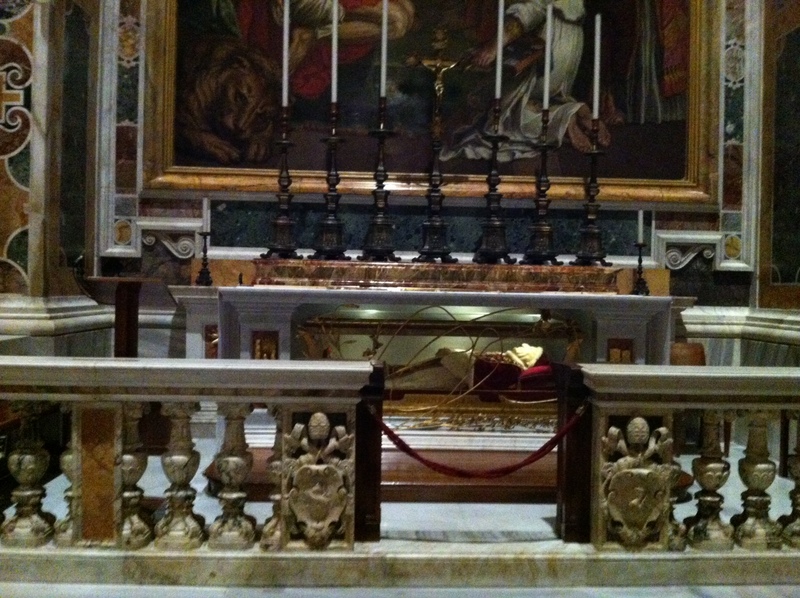 My one goal with this recent trip to Rome was to spend time at the tomb of Blessed John XXIII. We sat quietly in prayer, ending our meditation with a recitation of the Creed to commemorate the Year of Faith. The Creed is the foundation of our faith. It is the prayer we recite, or is recited for us, as we are welcomed into the Church – the Body of Christ. We believe in God our Creator. We believe in Jesus Christ, God’s son and our redeemer. We believe in the Holy Spirit, giver of wisdom and of life. And, yes, we believe in one, holy, catholic and apostolic church. But, it is getting harder and harder to believe some of the nonsense that is coming from our church. Pope John XXIII inspired the church to fling open her windows so the stale air of centuries past may be open to the freely blowing breezes of the Holy Spirit. He urged the people of God to ignore prophets of doom and gloom, to embrace the good news of the gospel so it may be lived in all corners of the world. He opened his arms to the world and other religions, so we may celebrate what unites us and collaborate in bringing justice and peace to all. Blessed John XXIII…..pray for us.